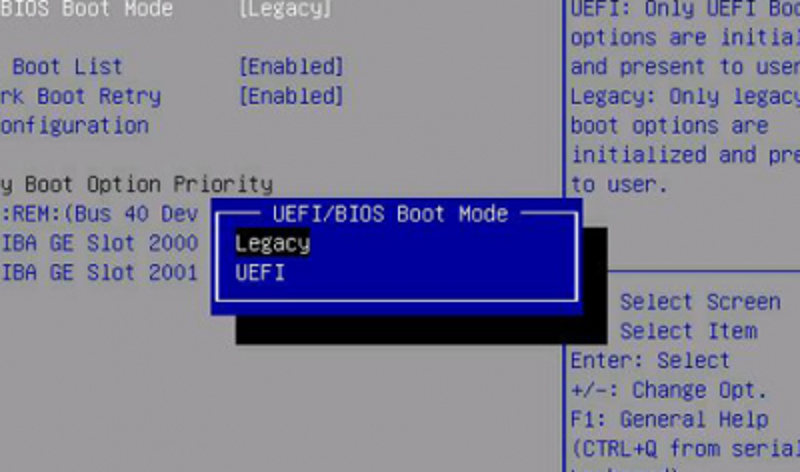 UEFI vs Legacy BIOS Booting: What’s the Difference? Legacy BIOS seems to be fading into irrelevancy. However, when it comes to booting your computer, it remains an option. You should consider choosing the system that has what you want in it, not what is popular. Legacy has stood the test of time as the number one boot system for over 25 years. Like all greats though, there is always a predecessor coming into power offering. Legacy BIOS has become less popular, while UEFI has started to dominate the way users design their systems booting processes. This could be happening because people are getting fed up with coding that comes with legacy, which turns into an extremely messy, outdated, and unorganized processes. However not all Legacy hardware and software should be tossed away immediately. You should always consider making the most out of what you have. There are other factors that affect your decision to boot from UEFI or Legacy BIOS, but in the end it’s not a life or death decision. Functionality, adaptability, and speed are three major aspects to consider when deciding which system, UEFI or legacy, is the optimal program. Comparing ROMs to Drivers is one way you can determine which system is more functional. Legacy BIOS is run by option Read Only Memory (ROM’s), which collectively is limited to 64 KB of storage. The option ROMs that legacy systems run will only work if they are compatible with the hardware that is running with it. If you upgrade your hardware, you have to update the option ROMs to make sure every aspect of the booting process is compatible. UEFI solved this problem by incorporating drivers into their system in place of option ROM. The drivers have virtually no space limitations and are compatible with upgraded forms of hardware. Drivers are written separately and can be uploaded using a flash drive. The information uploaded onto the system is then processed by UEFI’s programming interface, which configures the data to ensure compatibility. The next improvement implemented by UEFI has to do with the type of code it uses. UEFI uses C-language. This form of coding is much more simplistic than assembler, which is the type of language that legacy systems require. Since legacy systems have been around for such a long time, their codes can be long and confusing, which make them harder to work with. Legacy programs do not allow for system updates without hardware updates. This causes many people to create and write numerous lines of new, confusing, and undocumented changes in code that allow users to bypass the compatibility process necessary. C-language on the other hand is much simpler and user friendly. This gives users the ability to write in new code making their program adapt and function how the user wants it to. This means it is easier for users to add and subtract what they desire from the code. UEFI’s customization capabilities affects boot time. This is why UEFI boots faster than Legacy systems. Here is an example. When it comes to deciding whether or not you want to run Legacy or UEFI BIOS, the choice is in your hands. If you choose to run legacy on your computer, you don’t lose anything essential. The program has been running for over 25 years and is still kicking. If you enjoy proven software, don’t really mind slower boot time, and never feel the need to code, than legacy is the program for you. Until then you have the power to choose. It is just a matter of time before UEFI becomes the standard booting system for personal computers. The debate between weather you want to run either Legacy or UEFI BIOS comes down to what system you run and personal preference. Linux users run predominantly Legacy, while Microsoft users run a mixture of both. 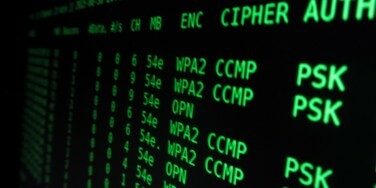 Like many aspects of the IT world everything comes down to the users preference, which cannot be disputed. However, something everybody can agree on is, you should have knowledge about what you are doing to your computer before you actually do it. In order to do this you need a little more knowledge on the fundamental booting process. A great place to learn how to properly boot a system, detect errors and update your system is through CompTIA’s A+ training course. This training course takes students through the booting process step-by-step, which will not only allow you to enable whatever system you want onto your computer, but it will also give you a more in-depth look at to what actually happening throughout your computer as you start it up. Did you learn something new and want to share? Think you know someone who may benefit from what you have read? Forward them this blog by simply clicking the button below.